Like many clients, Steve Bredschneider has more than one website with us. 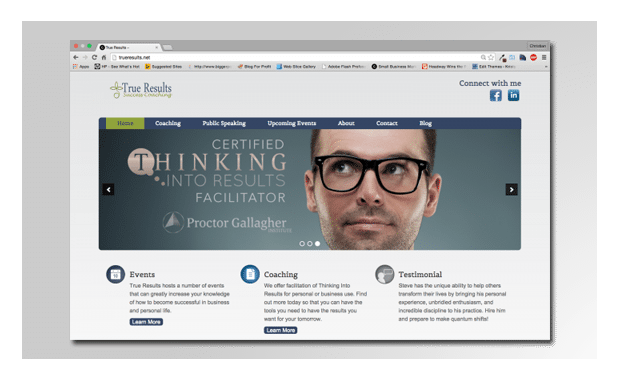 He has a professional photography business, and he’s also a committed Thinking Into Results business coach. If you’re looking for someone to show you the path toward reaching your highest potential in business and in life, he’s got the insight and systems you’re looking for.